Vortex Diamondback scopes are loaded with features that put them in a class of their own! 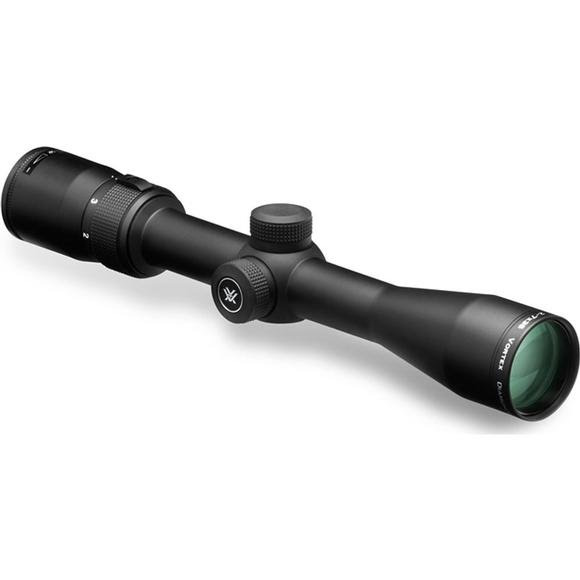 Single piece aircraft grade aluminum construction, full weatherproofing and fully multi-coated optics keep your scope functioning and your aim on target independent of what mother nature is doing. Get a Diamondback and get a scope for life. The 2-7x35 Diamondback Rimfire has a 50-yard parallax setting which makes it ideal for use at close range on 22 rimfire, shotguns and muzzleloaders.